Plant a Tree Today, Enjoy the Shade Tomorrow. Why is planting trees such a great thing to do? ​St. 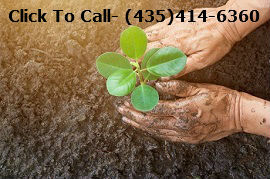 George Tree Care loves trees and we would love to plant the tree of your choice in your yard. Trees are great for providing shade which in turn provided a cool place to sit on a warm summer day. The shade that is provided by trees also helps out with your grass. Our St. George summers are so hot that it can be hard for grass to thrive without a huge amount of water. Grass that is growing under the shade of a tree requires less water. I have learned this from personal experience in my own yard. And the less you have to water to keep you grass looking nice, the smaller your water bill will be. So besides shade being a cool place to hang out, trees have a financial advantage as well. On top of that trees add a beauty to the area that nothing else can. These are only a few of the reasons that planting a tree is such a good idea. Planting trees can add a lot a variety to your yard. As I am sure you have noticed, there are a lot of different types of trees that grow here in Southern Utah. A few examples of the many types of trees you can choose from are: small flowering trees, fruit trees, large fast growing mulberry trees, palm trees or towering pine trees; just to name a few. Whatever your choice of tree may be, rest assured that to plant a tree is the right choice. If you have a tree that you would like to see if it can be moved, give us a call at (435) 414-6360 and we would love to come and take a look at it.